There's always a lot happening at TEAM Hughes! From new class registrations to public information notices, we’ve included all the latest news and events on one page. 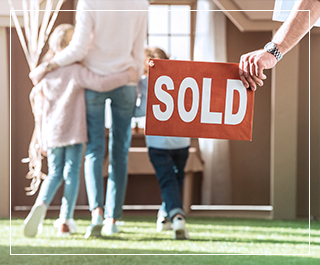 Make it your first stop when you visit our website to ensure you are always aware of what’s happening at TEAM Hughes Real Estate School. Don’t know what your “why” is? Just Google “my why” or “your why” and you’ll be inundated with a plethora of information on how to find it. Take this quiz, read this book, join this seminar, etcetera, etcetera. Basically, your why is your purpose, why you do what you do. At this point, I’d like to make it clear that I love my son beyond measure. He is WHY I wish there were more hours in the day and more days in the year. He is WHY I want to be a better person. He is WHY I pray that I can set an example of kindness and empathy. When it comes to my real estate career, my son is not my “why.” In the past, even just a month ago, when people would refer to him as my “why,” I would feel guilty for hesitating before slowly nodding in agreement. Was I missing some maternal instinct? Did I love my son enough? These questions plagued me. Now I am comfortable saying it. My son is the reason that I live, the reason that I breathe. However, when it comes to my real estate career, I am my own “why.” And that is okay. It is more than okay, it is healthy. It is healthy to take a stand for yourself, take charge of your own life, set your own goals, and celebrate your accomplishments. Every situation is different, but everyone has a “why” when it comes to branching out and starting a career in real estate. Just be true to yourself, take the plunge for the right reason, and don’t look back! In a very short time, if you don’t yet know, you will figure out what your why is and how it can help you enjoy the ride toward your goals. Let’s stay connected. “Like” us on Facebook and follow us on Twitter to catch the news as it happens!